Stinging nettle (Urtica dioica) is an innocuous-looking plant with clusters of tiny flowers in the axils of opposite, serrated leaves. The leaves and the stems pack quite a punch, though, with numerous stinging hairs called trichomes, that act like hypodermic needles, injecting histamines if grasped, and subsequent torturous itching with red rashes and skin bumps. 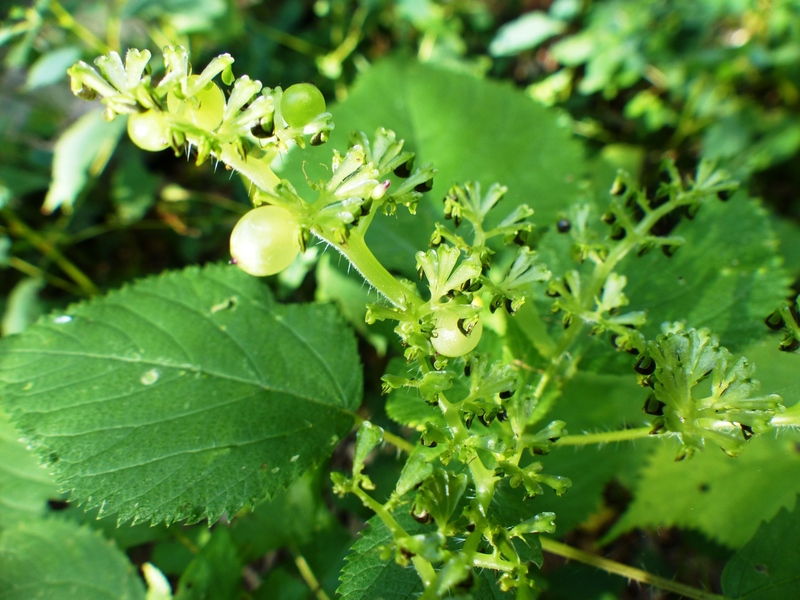 At Johnson Woods stinging nettles will not affect you if you stay on the boardwalk, but on hikes elsewhere, where you walk through the woods, either learn to identify this plant – or wear long pants rather than shorts, and keep your hands away from the nettles. For more information on identification characteristics - including on young seedlings, folklore including the history of medicinal uses, and biology of stinging nettle, check out the fantastic Ohio Perennial and Biennial Weed Guide at oardc.ohio-state.edu/weed guide.